A team of engineers at Tufts University have created a series of 3D printed metamaterials possessing unique optical or microwave properties that surpass what is possible using conventional electronic or optical materials. The fabrication approaches formulated by the scientists show the potential, both present and future, of 3D printing to expand the variety of geometric designs and material composites that results in devices having unique optical properties. 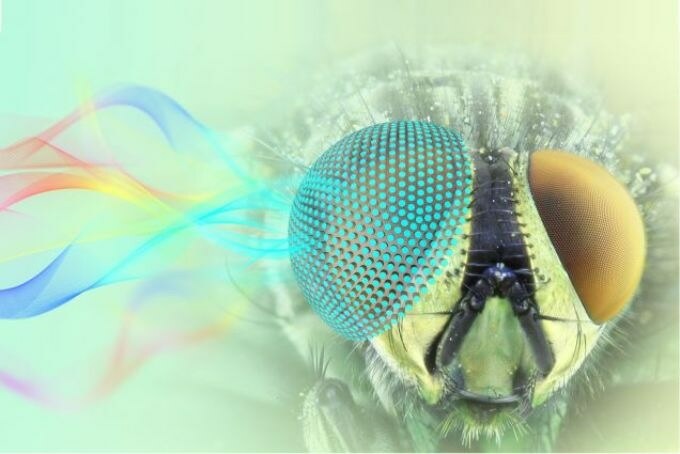 In one instance, the scientists took inspiration from a moth’s compound eye to develop a hemispherical device that can capture electromagnetic signals from any direction at designated wavelengths. The study was published recently in the journal Microsystems & Nanoengineering, published by Springer Nature. Metamaterials encompass the abilities of conventional materials in devices by utilizing geometric features organized in repeating patterns at scales smaller than the wavelengths of energy being influenced or detected. Latest developments in 3D printing technology are rendering it possible to form a number of shapes and patterns of metamaterials, and at much more smaller scales. In the research, scientists at the Nano Lab at Tufts explain a hybrid fabrication method using 3D printing, metal coating, and etching to produce metamaterials comprising of multifaceted geometries and new functionalities for wavelengths in the microwave range. For instance, they developed an array of miniature mushroom-shaped structures, each consisting of a small patterned metal resonator at the top of a stalk. This specific set up allows microwaves of fixed frequencies to be absorbed, based on the selected geometry of the “mushrooms” and their spacing. Such metamaterials could be valuable in applications such as antennas in telecommunications and as sensors in medical diagnosis or detectors in imaging applications. The products of integrating optical/electronic patterning with 3D fabrication of the underlying substrate are referred to by the researchers as metamaterials implanted with geometric optics, or MEGOs. Other sizes, shapes, and orientations of patterned 3D printing can be conceived to produce MEGOs that absorb, reflect, improve, or bend waves in ways that would be hard to accomplish with conventional fabrication approaches. Several technologies are currently available for 3D printing, and the present study utilizes stereolithography, which focuses light to polymerize photo-curable resins into the preferred shapes. Other 3D printing technologies, such as two-photon polymerization, can offer printing resolution down to 200 nm, which allows the fabrication of even finer metamaterials that can detect and control electromagnetic signals of even smaller wavelengths, possibly comprising visible light. The full potential of 3D printing for MEGOs has not yet been realized. There is much more we can do with the current technology, and a vast potential as 3D printing inevitably evolves. Aydin Sadeqi, Study Lead Author and Graduate Student, Tufts University School of Engineering. Other authors contributing to the study include Hojatollah Rezaei Nejad, post-doctoral fellow, and Rachel Owyeung, graduate student at Tufts University School of Engineering. This research was aided by U.S. Army Cooperative Agreement #W911QY-15-2-0001, and the Office of Naval Research grant #N0014-15-1-2550.